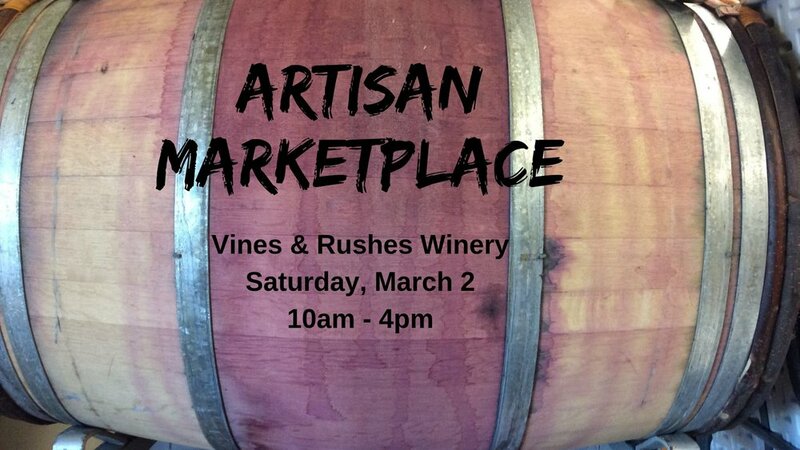 Ready for our first Artisan Marketplace of 2019? The Great Room will house several vendors who have will beautiful handcrafted items available to purchase. Those participating include: Two Rags and A Paintbrush, MichelleO'Mahoney Art, Sand Dollar Impressions, Silver Wear by Darlene, Inspirational Designs, Honey Hollow Handmades LLC, Eve's Creations, Tony Magin, Jerod Felix, The Dandelion Farm, OliAnna Jewels and Boo Boo Loveys - https://www.etsy.com/shop/BooBooLoveys. Between now and March 2nd, a different vendor will be featured on our Facebook page, along with a few pictures of their items. Complimentary tasting of Vines & Rushes Winery wine and Knuth Brewing Company craft beer all day, wood fired pizza service 11 am to 6 pm.